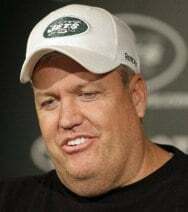 You might think he’s overrated, a blowhard, or a fatso but New York Jets coach Rex Ryan understands human psychology. Football is a group exercise, and ensuring that players are talking about other members of the team in addition to themselves drives that point home with clarity and conviction. Do you have the same rule for your social media initiative? As the folks at Brains on Fire advise in their terrific new book, you need to focus on the Passion Conversation, not the Product Conversation. And the passion comes from focusing on people, not on logos. Sure, there are a ton of social media success metrics out there. We devote an entire chapter to them in The NOW Revolution. But, do you want to know the quickest way to gauge the success of a company’s social media effort? Take a look at their communication patterns on social outposts like Twitter, Facebook, and their blog. If they are talking predominately about the company, effectiveness is likely mediocre at best. Social media gives your company a conduit for being so much more than a collection of press releases, and businesses that focus solely on the media instead of the social are simply blowing it. So quit talking about yourself so much, and talk more about your customers, business partners, employees, and friends. Don’t just tell stories about what your products do, but rather tell the human stories of the people your products help. Learn from Rex Ryan. The more you shine the spotlight on other people, the more they’ll shine that light back on you.